This page contains a translation into English of the lyrics to the popular Greek rebetiko song Farrah, which was sung by Stelios Kazantzidis. Also included is a pronunciation guide for the Greek lyrics so you can sing along if you like. Stelios Kazantzidis was the original artist who made this song popular. 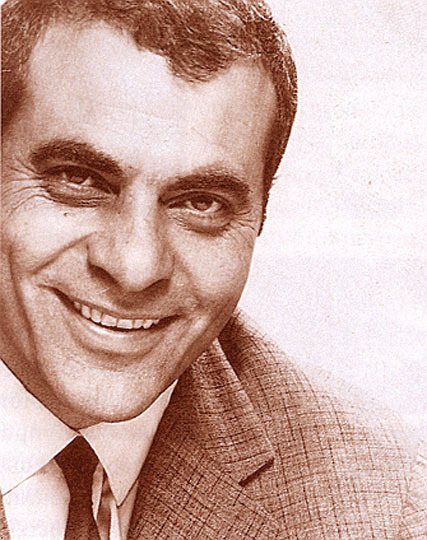 The legendary Stelios Kazantzidis was born August 29, 1931 in Athens Greece, specifically Nea Ionia. He is among the most beloved musicians of our time. His music and words never get old. He was of Asia Minor and Pondian (Greek Anatolian) descent. Stelios or, as many love to call him, Stelara, was also loved due to his character and simplicity in life. Sadly, he did not make much from profit from his career as others took advanatage of him. Together with Vaggelis Skourtaniotis, Giorgos Koros was one of the composers of the music for this song. Vaggelis Skourtaniotis was an oud player and a composer. 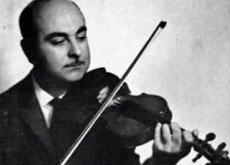 Giorgos Koros was born into a talented religious family on the beautiful Greek island of Evia on March 19, 1923. His father was a highly respected Greek Byzantine chanter in church who also played the oud and mandolin. It was through this exposure that would inspire young Giorgos to consider a future in music. This second-generation, self-taught talent went on to become one of the greatest legends ever to represent the Greek folkloric and Laiko music. The main instrument afor which he is known for was the violin. Giorgos was not only a performer, but also a talented composer who managed to fuse tradition Greek country music with Laiko/Rebetiko tunes. His first performing experience was at the tender age of 12 at a local dance celebration called “Paniyiri”. Often, a “Paniyiri” is an outdoor/indoor festival that takes place in honor of a church that is celebrating its name. There are also Paniyiria that take place in connection with a holy day. After moving to Athens, Giorgos Koros met and collaborated with another legend, Giorgo Papasideri. Papasideri was intrigued with his talent after seeing him perform at a local venue in the early 1950s. Through this connection, Papasideri became one of the most influential people in Koros' life. After having paid his dues as an up and coming artist, Koros was offered the greatest opportunity in his life, that of joining the Greek Columbia Records. This opened the doors for Giorgos to join and collaborate with the biggest celebrities of his time. Several of his roughly 1,500 compositions went on to earn him platinum and gold records. Koros was not only popular in the 50s, but also very loved by the newer generations, which invited him to compose and create new hits! His daughter Katerina Korou is also an accomplished and highly respected musician. Koros passed away on January 8, 2014 at the age of 91. Κλαίω, θρηνώ για σενα νύχτα μέρα kleo thrino ya sena nihta mera I cry, I mourn for you night and day. κάποτε μου διναν φιλιά kapote mou dinan filia they once gave me kisses. απ’ την φτωχή μου την καρδιά ap’ tin ftohi mou tin kardia from my poor heart. Φαράχ, Φαράχ, Φαράχ Farah, Farah, Farah Farrah, Farrah, Farrah. αγάπη μου γλυκειά Φαράχ, Φαράχ, Φαράχ agapi mou glikia Farah, Farah, Farah my sweet love Farrah, Farrah, Farrah. δεν με βαστάει πια η γη den me vastai pia ee yee the earth can’t hold me any more. Farrah is an Arab women's name. Hades is the Greek name for the underworld where souls go after death.